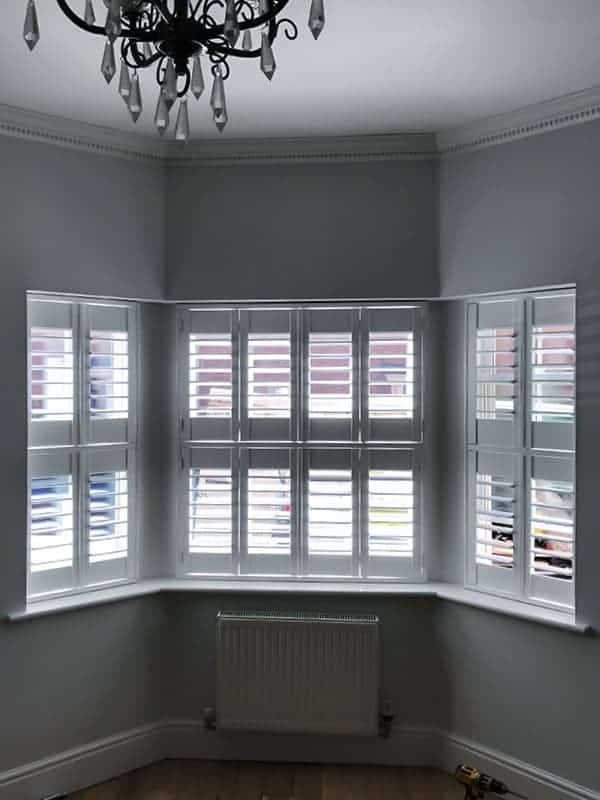 Bi-fold shutters will beautifully complement your bay windows and doors. They will reduce the heat and act as a simple form of air conditioning. 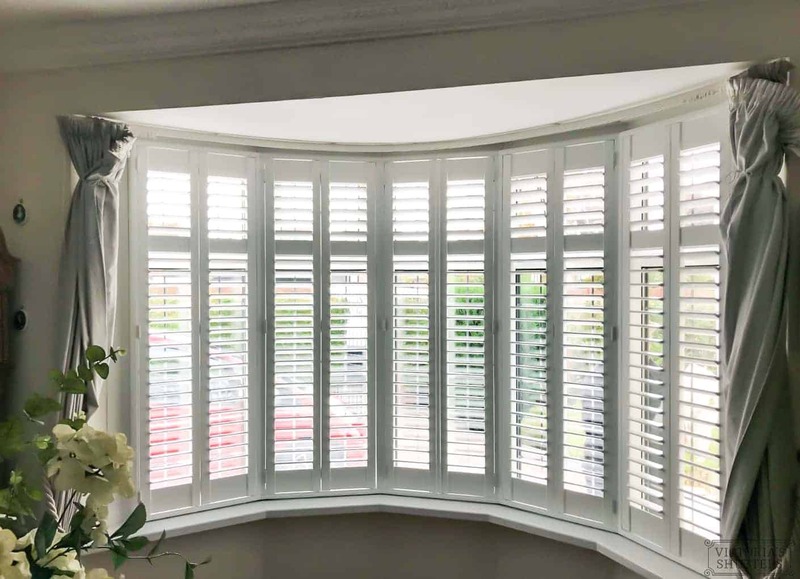 Our plantation shutters will also protect you against an unwelcome eye peering from outside. High quality and solid construction guarantee long-term operation. 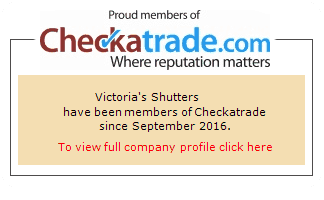 Our shutters will satisfy the most demanding customers as each order is custom made to tailor your needs. 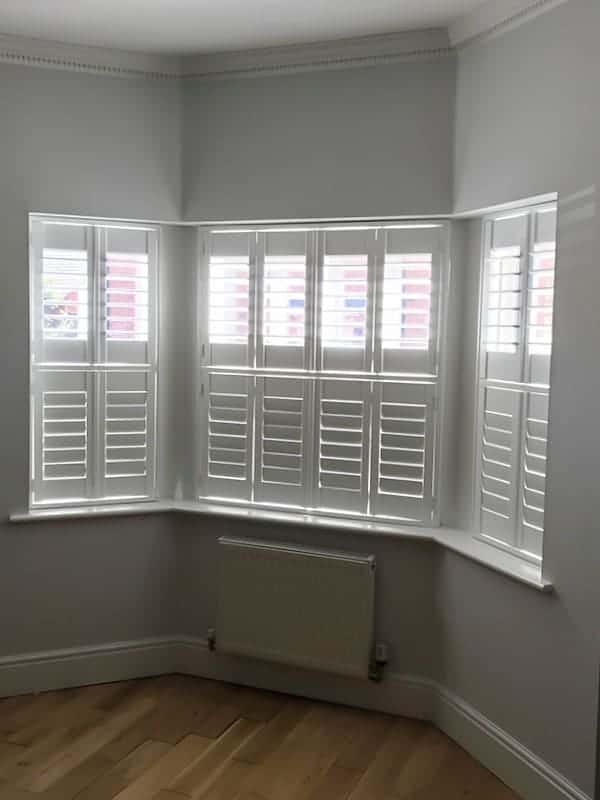 You can choose the colour, texture and type of plantation shutters, so they look best in your living room or anywhere else in your home. Our standard window bay shutters are a popular choice. 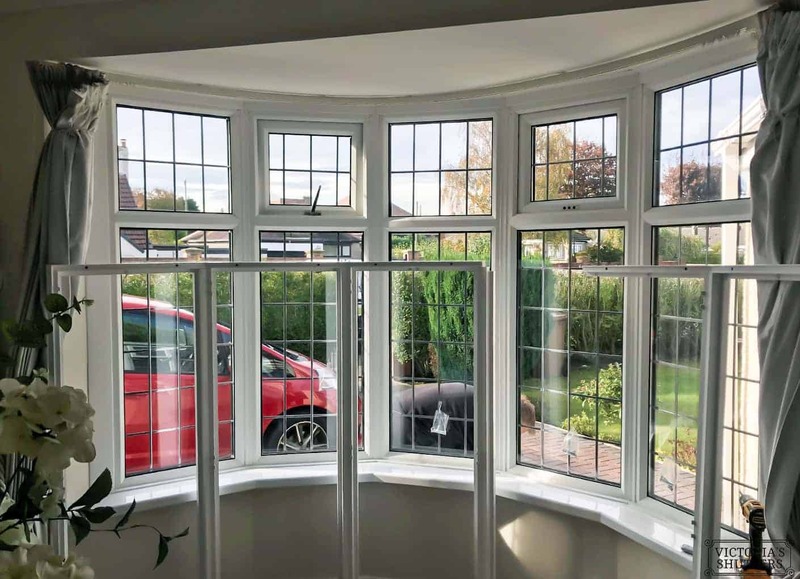 They fit well in the traditional UK home with classic bay window. Here’s a before and after example of our recent installation in Sunderland. 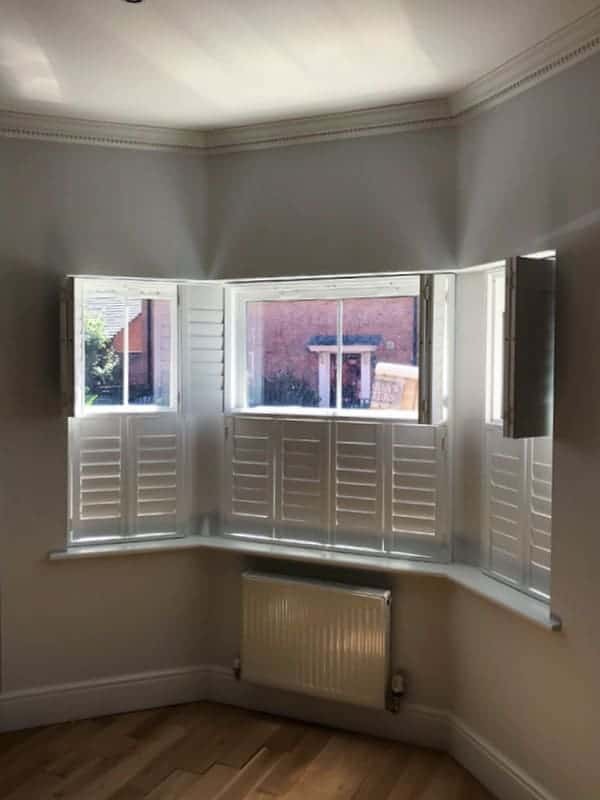 A white, bay window plantation shutter has been installed primarily to fit the bright home decor of the living room.